This year I started tracking my accomplishments and it's actually one of the best feelings in the world. Each morning I cross off my accomplishments from the day before, and it's actually has turned into a routine for me. Each month of track and focus on three new habits that I would like to turn into a routine, and in the areas that I need to work on. They'll carry over to the next month. It's so important to watch what we eat. Too often we typically just grab and go, and do not strategically put any thought process into the foods in which we're consuming. It only takes a few minutes to create an execute a menu plan. Start by creating a list of all of the foods in which you have your home and the meals you can create with those items. Create a grocery list based off of the foods you need, and don't forget to include your snacks a well. As much as I love social media and the amazing connections that I've made. It's so important to incorporate a day to unplug and allow yourself to be the best version of yourself and live in the moment. This doesn't have to be the same day each month. Pick a day that works for you, and if the day isn't scheduled and it just happens. That's even better! Whether it's keeping a journal of what you've done or accomplished. It's so important to show gratitude. It's also amazing to look back on and reflect for those not so perfect days. As a parent, I've noticed it's super hard for us parents to gift ourselves. We always have everyone else's needs first and tend to put our wants last on the priority list. Whether it's a new book or a lipstick that's been on your "wish list" treat yourself to something special that you want. Whether it's creating a weekly spread for your planner or creating a batch of your favorite cookies. Take a moment to create. Doing what you love allows your creative juices to flow, and allows you to feel mindful and productive. Of course, I save my favorite for last. I love building self-care kits. They're pretty much like rewarding yourself for self-care. I typically will fill a pretty box or basket with my favorite products like my favorite book or magazine, fuzzy socks, chocolate, and my scents and locations. 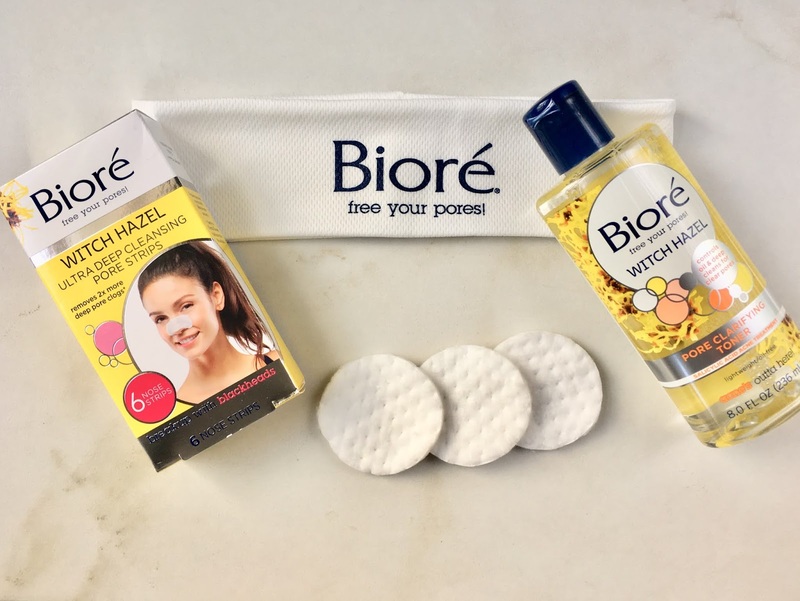 Beauty items like the Bioré® Witch Hazel Ultra Deep Cleansing Pore Strips and Bioré® Pore Clarifying Toner. Why is Witch Hazel great for blackheads? I've honestly been using Witch Hazel for years! I use it because it's affordable, it works, and you can use it typically for multiple reasons. From your skin to your hair. How often do you use Witch Hazel products? I use Witch Hazel on a daily basis as an astringent. These are some great ideas, I like the idea of keeping track of all the positive things and hands up there is never anything better than a spa day! I must be doing something right with the self-care stuff - I just bought some Biore strips, LOL! I didn't know about the ones with witch hazel. I'm definitely going to check them out. 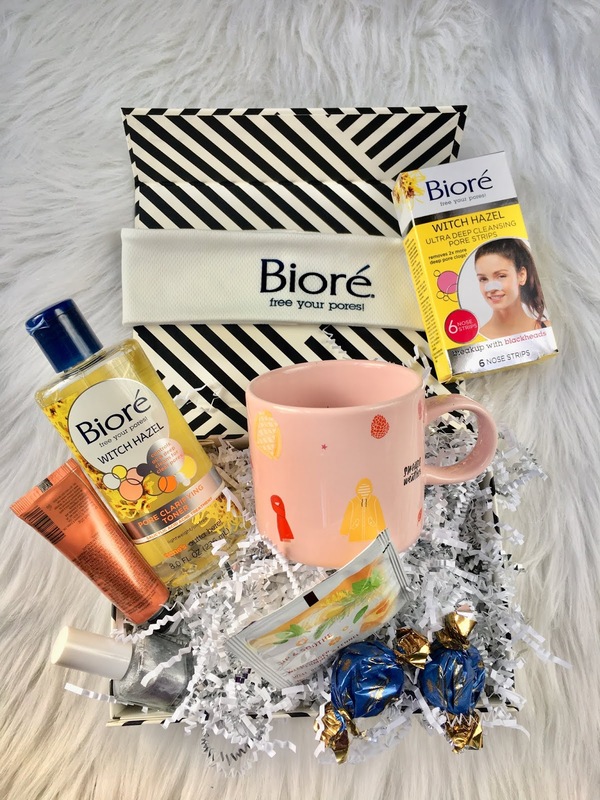 I love Bioré strips and I always a pack of them in my vanity drawer. My husband used them as well. Self care is so important and I need an at-home spa day this week. I have been working hard to eat better. It's tough, but I really DO need to be more aware of what I put in my body! A spa day at home sounds like something I need to do and soon. Drinking plenty of water and eating healthier is always the game plan. Perfect timing reading this, as I have oily skin even though I'm not a teen! My daughter recently started a witch hazel regimen and I'll let her know about the strips. I need to pick up a box! I do have blackheads, and my face could use the help. I like the idea of a self-care kit. I definitely need to do this myself. I do take care of everybody else first before myself but I really do think you do need spoil yourself sometimes. These are wonderful tips. You don't have to spend all day at a pricey spa to take care of yourself. It's the little things that really help. I have two teen girls. One is 14 and the other is 17 and we are all big fans of BIORE. I have a few of their products actually in both of the upstairs bathrooms. The charcoal cleanser is gold for all of us especially when we get a breakout. SO, I am super excited to see these with hazel products now too. This brand is excellent and a great fit for my family as well as it's a decent price!! yes yes yes to all of this esp about unplugging- o really need to do more of it bc i feel so much better when i do! Love those tips. Most are what I was writing about last week. Great minds think alike. I've decided to make self care a priority in 2019. These suggestions are wonderful and definitely gave me some inspiring ideas! I love the idea of a self care kit! I need to do this!! I would love to get these for my teenager. She loves this brand. These are wonderful suggestions to help take care of ourselves. I remember using a product with witch hazel as a teen to help with my acne. I think it was pretty effective. Love the notebook and the mug! 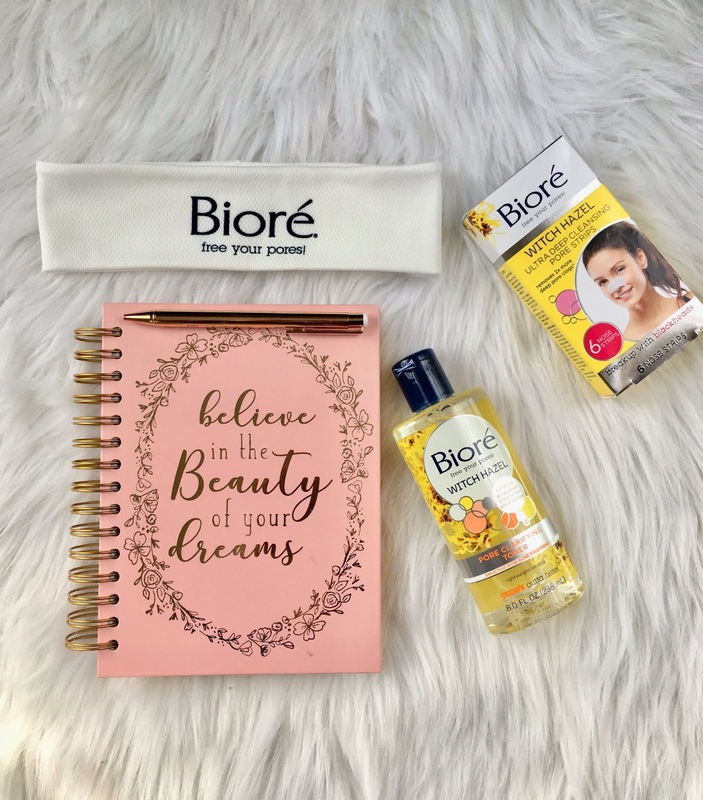 I have used some Biore products and loved it. I love practicing self care, but I have to tell you sometimes its easier said than done. You have to be intentional about it. I get so busy and if I don't take the time out to practice self care, I'm a ball of tense muscles. Thanks for sharing. Thank you for this! Self care is so important!! I love these Bioré products. They're great.